I am not here to “fix” you. You are not broken. In fact you are imperfectly perfect and beautiful. Who do you aspire to be? If you can dream it, then that life is already in you. We can peel the layers of anxiety, fear, worry, limiting beliefs and self-doubt away. You will remember how to LOVE YOURSELF to greatness. I am here to guide you to your limitless potential. We will identify and crush the things that don’t support your dreams. This is how you can transform your life from the inside out. Together we will break down barriers that hold you back from living the full and vibrant life that you fully deserve. When you love yourself deeply and unconditionally, you allow your true essence to shine through. Your magnetism then draws all that you want into your life. You will feel free to live authentically without any limitations or labels. This growth, outside of your comfort zone, is where the magic happens. You can achieve ANYTHING that your heart desires just by fully showing up and being present in the moment. Imagine waking up with boundless energy and excitement for the day ahead. Imagine feeling joyfully content with your inner and external world. Embrace vulnerability and be courageous at the same time. Learn how to nurture your body with healing whole-foods. Learn how to manage cravings and control them for good. Elevate your self-care to be exquisite. Make simple and long lasting changes to your total health and wellbeing. Take empowered action to transform your life. You will walk away from this journey with life changing tools that will allow you to THIRVE! YOU DESERVE TO LIVE THE LIFE OF YOUR DREAMS. DON’T HOLD BACK, GORGEOUS! IT IS TIME TO SHINE YOUR LIGHT ON THE WORLD. WE NEED YOU. I work with a new generation of women, who understand that the feminine principle is just as important as the masculine in business, relationships, and life. They want to inspire change as they lead with their feminine in a powerful way. #1: You will become a more magnetic woman. I don’t mean “Magnetic” for the sake of just being magnetic and attracting attention. It’s about stopping the struggle of feeling like you have to push to be seen and noticed, and turn that “push” into attracting – more support, more clients, etc. #2: You will change your relationship with your fear and self-consciousness so it doesn’t stop you moving forward. You will be able to hold an authentic confidence and reduce your self-consciousness, no matter what the situation. #3: Your income will increase. Why can I say that? Because a woman who has a magnetic presence and who can hold an authentic confidence no matter what, is seen as more valuable and more credible. It’s that woman who gets the raise, or can ask for higher fees. This is the way it is whether she is more valuable or not. If you are in business for yourself or want to be, that means you’ll attract more clients at a higher price. If you are working for someone else that means maximizing your opportunity for a pay increase or more opportunities for growth in the company. ...for more in life, but you’re not sure how to move forward. I can relate. I have been there. Several years ago, my entire life changed within a year. I lost my job, my marriage and my home. I was off balance, big time. The grief shook me to my core and my dreams went on hold. The world looked grey, my energy was lower than it had ever been and I wasn’t taking care of myself very well. I didn’t exercise during this time, but I slept a lot. I had gotten off path and felt lost. I had a destructive relationship with food, my body and my inner self. I was living from a place of fear. One day, I woke up and remembered that I needed to turn inward for guidance. From this practice I have redesigned my life. I now prioritize my health and wellness and feel confident, happy and vibrant. I am grateful for this gift of life each moment. It is my absolute pleasure to walk alongside you as you learn to do the same. This is all about you and your ability to BRILLIANTLY THRIVE! I am the founder of Just Thrive Now and your guide to life balance and success. My passion is helping others discover the incredible beauty and brilliance that exists within them. 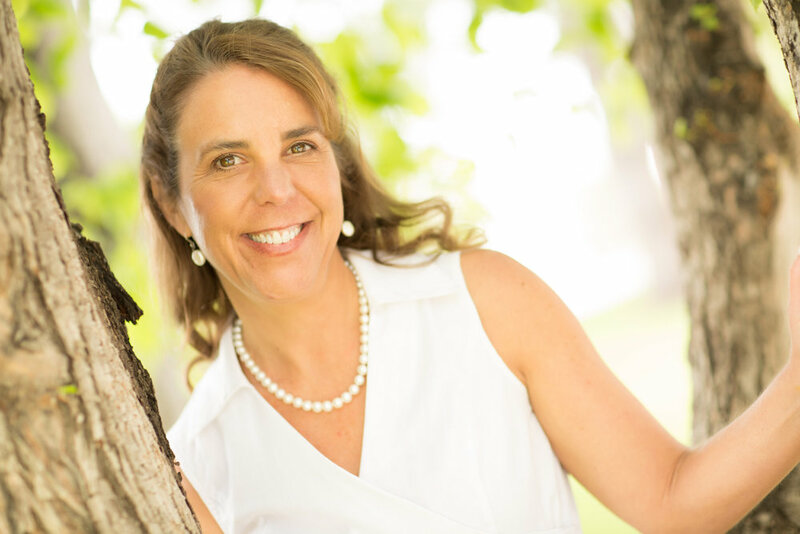 Guided by intuition, curiosity, vulnerability and love, my honest yet nurturing approach to health and wellness empowers my clients to reconnect with their true selves, take inspired action and create a luminous life of clarity, balance and empowered authenticity. I am inspired by connection, truth, laughter and love. I believe that it’s our birthright to live without self-imposed limitations or labels. You can achieve the confidence and freedom you crave when you are guided back home to the person you could always be. newsletter to promote your ability to thrive. are you distracted by the needs of others? Do you find it hard to find time to take care of yourself? Are you waiting for things to get better? Are you frequently stressed, and tanked at the end of every day? Are you resentful of others? Well gorgeous, you have come to the right place. Your journey to discover your true beauty and brilliance is my passion! As your guide, I am here to help you find clarity amongst the confusion. I provide a safe, nurturing and loving space for you to uncover your magnificence while manifesting your passion, power and purpose. I will guide you to a life of balanced health, heightened gratitude, abundance, love and joy.